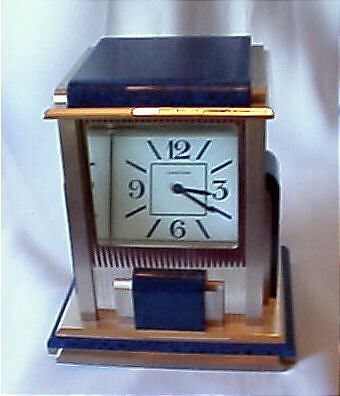 Cartier mystery clock. 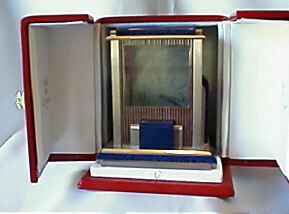 Silvered, gilt and blue hardstone Art Deco style case. Electric movement with balance wheel. When viewed from the proper angle the clock face mysteriously appears. In the tradition of earlier Cartier mystery clocks. A fine limited edition clock no longer in production. With original fitted box.